Could You Be Suffering from Noise-Induced Hearing Loss? Noise-Induced Hearing Loss (NIHL) is a lot more common than you may think. NIHL happens due to loud sounds that damage your ears; you don’t need to be consistently listening to rap with headphones at full volumes to get NIHL. Certain sounds can cause permanent damage even if you are exposed to them for only a brief period of time. These sounds can damage sensitive structures in the inner ear, which may result in NIHL. One of the biggest problems with NIHL is that it’s not always immediately noticeable. This is also one of the main reasons why it’s often not taken as seriously as it should be. You may not find out for years that your hearing was damaged through exposure to particular sounds. The important thing, therefore, is to become aware of how common and how likely the risk of noise-induced hearing loss is, and that it is better to take steps to prevent it than to attempt to cure it. NIHL can happen to people of all ages. 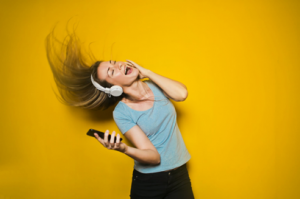 Most people know that loud music, use of headphones over recommended volumes, or exposure to noisy machinery, industrial tools, concerts and gigs can cause a lasting damage. However, most people aren’t aware that it’s not just extremely loud sounds that result in hearing damage. Everyday sounds can also cause irreversible hearing damage. It’s not just about the loudness. Time is a factor too. How long you are exposed to sound plays a big part in how much damage it may cause to your hearing. For example, if you hear a very loud sound, like a shotgun gun going off near you or feedback from an amplifier at a concert, for example, the energy from the sound is absorbed in one go, in a short amount of time. However, the same amount of energy exposure over time – i.e. from listening to music – delivers the same dose of sound and would eventually result in similar hearing damage. This is when things get complicated, and this is what most people aren’t aware of – that we need to be careful with everyday sounds, as well as those exceptional ones. When I’m commuting on the underground, and if I’m listening to music, I turn up the volume really loud because the noise of the tube makes it difficult to hear at normal levels. I’ve seen other people do it too. They may be watching a video on their phone or listening to music, and as the background noise of the tube gets louder, they crank up the volume on their headphones. If you do this every day during your commute, then you are exposing yourself to a harmful sound dose over quite a long time which would inevitably end up with hearing damage. 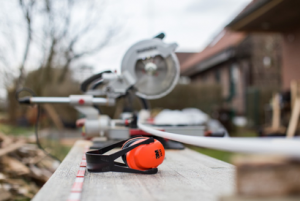 To know whether you are suffering from, or at a risk of Noise-Induced Hearing Loss, you need to start paying attention to the types of noises you are constantly exposing yourself to. Do you wear headphones for work? Do you wear headphones for personal use? Do you spend a lot of time in loud clubs or at concerts? Are you surrounded by people who keep turning up the TV? Are you constantly exposed to loud industrial noises, such as machinery or tools? Once you have an awareness of how much risk noise poses in your life, particular noises in your everyday life, you can take preventative measures against NIHL.